The first meeting of the Executive Office of the Council of Arab Ministers for Meteorology and Climate Affairs, chaired by Dr. Abdullah Al-Mandous, Director of the National Center of Meteorology and Seismology of the United Arab Emirates (UAE), Chairman of the Asian Meteorological Society, Member of the Executive Council of the World Meteorological Organization, Members of the Bureau are: Saudi Arabia, Mauritania, Jordan, Bahrain, Algeria, Tunisia, Sudan and the UAE. Dr. Abdullah Al-Mandous said in his address to the meeting that the formation of a Council of Ministers of Meteorology related to meteorological and climatic affairs will provide moral and material support to the Standing Committee of Meteorology and Meteorological Services in the Arab World and will help them build their capacities and develop their resources and enable them to provide services in the fields of meteorology and climate Meet growing community needs and actively contribute to national development projects in their countries. "We see in this council the beginning of the road towards the adoption of Arab legislation through which the methodology of work in all Arab meteorological facilities is unified." "We are in the League of Arab States, we are not the first regional group to form a ministerial council on meteorology." He pointed out that the Arab States members of the First Regional Union of Africa of the World Meteorological Organization (WMO) know very well the African Ministerial Conference on Meteorology and know that it is an active institution in supporting the activities of meteorological facilities in the African continent. The Pacific Island States Group had formed the Pacific Meteorological Council to support meteorological facilities in their countries and to undertake collective and systematic action to address weather-related challenges such as climate change, disasters caused by extreme weather conditions and others. He stressed that there were many other regional groups that had formed ministerial councils and high-level regional bodies that provided real support to the national meteorological services of their respective States. Al-Mandoos added that the formation of the ministerial councils of the regional groups is particularly encouraged by specialized international organizations and donors. The Secretary-General of the World Meteorological Organization (WMO) expressed particular interest in the Council of Arab Ministers for Meteorology and Climate Affairs, Which was held in Abu Dhabi last May. For his part, Ambassador Kamal Hassan Ali, Assistant Secretary-General for Economic Affairs of the Arab League, said in his speech that the General Secretariat of the League is keen to interact with every scientific development that drives the joint Arab action to progress, stressing that meteorological sciences and services are not separate from any of the areas of sustainable development It is also richer to push for progress and development. Ali expressed his hope that this gathering of distinguished Arab officials involved in meteorology and climate will contribute effectively to the promotion of joint Arab action in a spirit of unity and shared responsibility. He stressed that the Arab nation is currently facing very important challenges and that the agenda of the joint Arab action is in keeping with the development of events and needs of topics of interest to the Arab homeland in its life and push the Arab world to follow developments and events. He pointed out that there is a close connection between meteorological services, climate and disaster risk reduction Natural and preservation of life and property and others, which impose itself on the top priorities of Arab action. He stressed the important and vital role of the meteorological facilities as they play a pivotal role in the development plans of the Arab countries and their important monitoring and study of meteorological elements and issuing warnings and early warnings of extreme weather events, On the Arab region recently from hurricanes and torrential rains to sand and dust storms and droughts and others. He stressed the importance of the role of meteorology in the safety of air navigation, navigation and land transport and its vital services for agriculture, water resources, electricity, tourism and other services in support of social and economic development. He called for strengthening the capabilities of meteorological facilities and supporting them to play their role in accordance with their national, regional and international commitments to modernize infrastructure and develop monitoring and communication systems and networks to modernize the high-speed computers needed to produce numerical predictions as well as support scientific research in all meteorological sciences and application of human development mechanisms for cadres Operating in meteorological facilities in accordance with the latest international developments, as well as supporting the implementation of programs and projects for the development of the work of the Arab meteorological facilities to develop their performance continuously, keeping pace with regional and international progress. Ali expressed his hope that the topics discussed during the meeting will contribute to the development of new building blocks for joint Arab action and meet the citizen's aspirations for safety and progress. He said that meteorology is a cornerstone of many development projects and humanitarian and environmental activities. The two-day meeting will discuss a number of important items, including aviation meteorology, media, weather and climate risk management, training and capacity building, and the theme of the second session of the Council and the Integrated Strategy for Arab Meteorological Services and its Executive Plan 2018-2030. 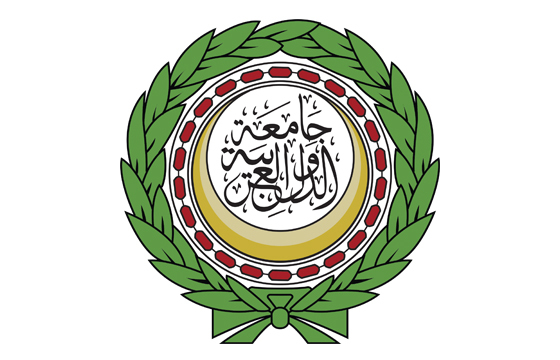 The Council will also discuss an item on the follow-up of cooperation with the World Meteorological Organization (WMO), the follow-up of the activities of the relevant Arab, regional and international organizations, cooperation with regional groupings and States in the framework of forums and the establishment of the Executive Office for the years 2016-2017, And the unified account of specialized Arab ministerial councils.